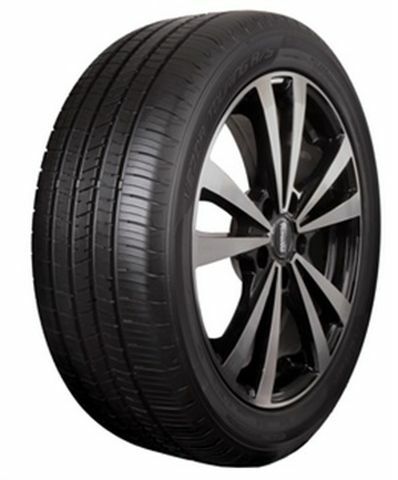 The Kenda Vezda Touring A/S is our grand touring all-season tire designed for drivers of touring and luxury touring cars. The Vezda Touring A/S combines the comfort & ride expected from a touring tire with the crisp handling required by discerning drivers as well as 620 A A UTQG. Created for diverse American all-season weather conditions, the tire offers lower weight and reduced noise while providing exceptional wet braking and year round traction, including light snow. The Vezda Touring A/S meets the need for wear with a 65,000 mile warranty with an optimized all-season tread compound molded into an asymmetric tread design featuring Kenda's proprietary designed pitch sequencing for reduced noise and four grooves engineered to prevent hydroplaning. •Four large circumferential grooves provide superior hydroplaning and wet traction performance.